We’d love your help. Let us know what’s wrong with this preview of Chicken Soup for the Parent's Soul by Jack Canfield. 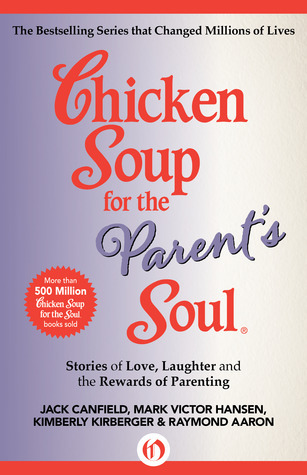 To ask other readers questions about Chicken Soup for the Parent's Soul, please sign up. A collection of "feel-good" stories for parents. The story titled, "I Live With an Alien" made me laugh because it certainly feels like my teenage daughter has become an alien - love her to pieces but she frustrates me at this point in her life! "There are times when parenthood seems like nothing but feeding the mouth that bites you." These stories are about the bonds between children and their parents. The most moving of the stories was one in which a mom recounts how she spent the day with her child, unknowing that it would be her daughter's last day of life. Her daughter died tragically that evening. pengalaman menjadi orang tua yang menghadapi anak2nya, saling mencintai, mendukung satu sama lain, disakiti oleh anaknya sendiri namun tetap mengasihi anaknya lebih dari apapun. bagus nih buat yang pengen jadi ortu. Had very nice stories in there. A perfect reminder as to why it's great to be a mom! it was mi mom's lol!